Acidification of the world's oceans could lead to a cascading loss of biodiversity in some marine habitats, according to research by biodiversity researchers from the University of British Columbia (UBC) and colleagues in the U.S., Europe, Australia, Japan and China. 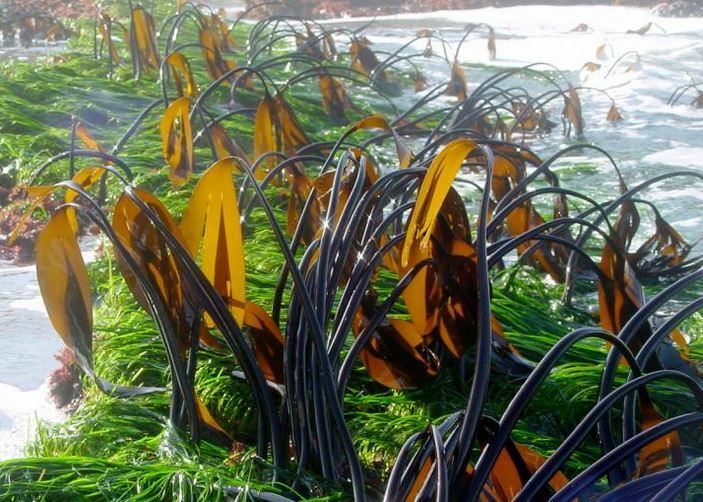 Sea grass beds and kelp forests like these off the coast of Oregon might buffer the impacts of ocean acidification. "Not too surprisingly, species diversity in calcium carbonate-based habitats like coral reefs and mussel beds were projected to decline with increased ocean acidification," said UBC zoologist and biodiversity researcher Jennifer Sunday. Animals that use calcium carbonate to build their shells and skeletons (like mussels and corals) are expected to be particularly affected by acidification. The researchers combined data and observations from 10 field studies that measured the impact of underwater volcanic vents on the density of habitat-forming species. They combined that data with 15 studies looking at how changes in habitat typically impact local species to make their predictions.